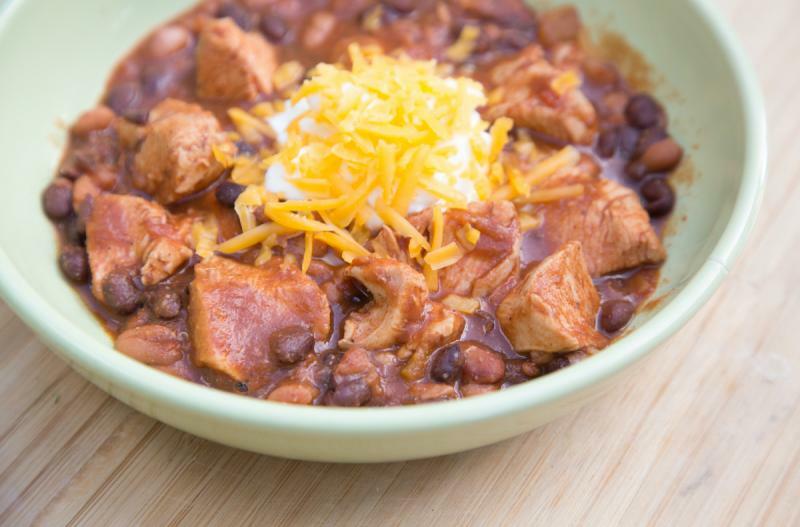 I adore how the lime juice brings up all these lovely Tex-Mex flavors in this chili. It balances and complements all the flavors so beautifully. If you wanted to thicken up this at the end of cooking, you could stir in a little cornstarch slurry (equal parts cornstarch and water) or whisk in some corn masa. Enjoy! Open all the cans. Drain and rinse the beans. Add all the ingredients into the base of the slow cooker. Set on low and cook for 8 hours. Lightly pull apart the chicken with 2 forks. Season with salt and pepper to taste. 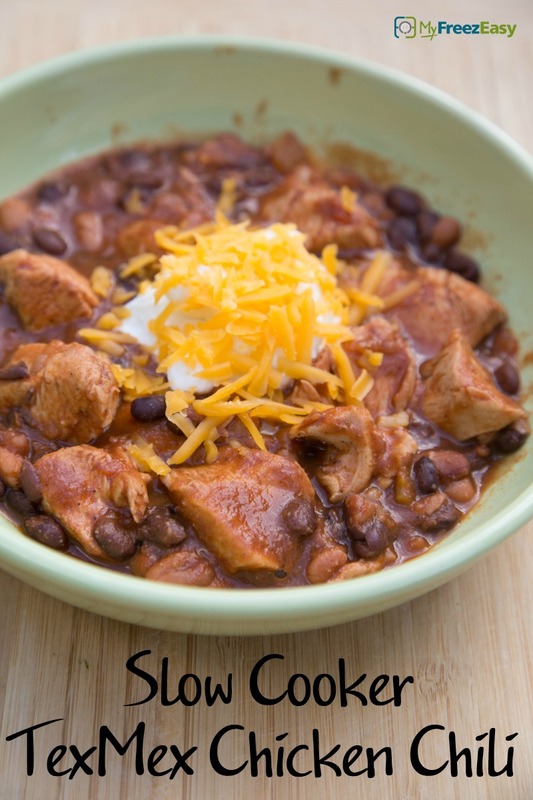 Serve Slow Cooker Tex-Mex Chicken Chili with salad. Open, drain and rinse 2 cans of black beans and 2 cans of pinto beans. Open 2 cans of crushed tomatoes and 2 cans of green chilies. Thaw and slow cook on low for 8 hours. Garnish with shredded cheese or sour cream.